Nikon has confirmed that the initial shipments of its Nikon D4, the company's new flagship DSLR will come bundled with an XQD card and reader included in the price. The Nikon D4 is the first, and so far only, camera in the world to use the new format of memory card, which was announced in the latter part of 2011. Similar in size to an SD card, XQD is capable of faster read and write speeds than both SD and traditional Compact Flash cards. So far, the only manufacturer producing the cards (and reader) is Sony. A Nikon UK representative told us that the card and reader would be available as part of the D4 price until May 28th. The D4 retails for around £4800 (body only), while a 16GB Sony XQD card costs around £145, with the reader coming in at £49, so the free bundle represents a significant saving. 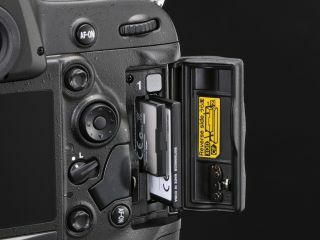 Other manufacturers have yet to come on board with the XQD format, with Nikon itself reserving it solely for the flagship camera, and choosing to include CF and SD card slots on the Nikon D800. Several memory card manufacturers have also been reluctant to enter the market while it still has a low adoption rate.